One of the most important uses of our laptops and smartphones is when we require some quality entertainment. But many times it happens that we have an excellent picture in a format that is not supported by our device at all. Suppose you have a VOB file and your device doesn’t support the format. What is one expected to do then? A VOB file is one that is used to store encrypted video and audio files used on current DVDs. It can contain three different types of streams – audio, video and subtitles. It is probably one of the best BOB to MP4 converters that are out there today. It has some powerful features that set it apart and simplify the complete conversion. It produces flawless results, and you can even watch the step by step conversion as it happens. It has an intuitive and attractive interface that is user-friendly. You can convert to other compatible formats as well, and the software has a batch, conversation features too. You can download videos from different links online and has a playback feature that supports video and audio play. It can be used to convert the videos you want to any other format because it has a universal support. A huge array of popular formats for video and audio are available which make it very compatible. Handbrake is available freely and is open source, so you don’t even have to worry about bugs. It is multiplatform software and can be sued by almost all the leading operating systems today. The main feature of this software is hat it has built in device presets, markers, previews and selections as well as queue up multiple encoders. The software provides you with a comprehensive collection of with editing tools for adding subtitle, trimming and cropping, as well as merging with other files. You are allowed to customize your videos in the best way possible, and during installation, you don’t even need to be worried about viruses because it is completely clean. The conversions speeds of this program are very high and come with high-quality output. It supports almost all video formats and is easy to use. 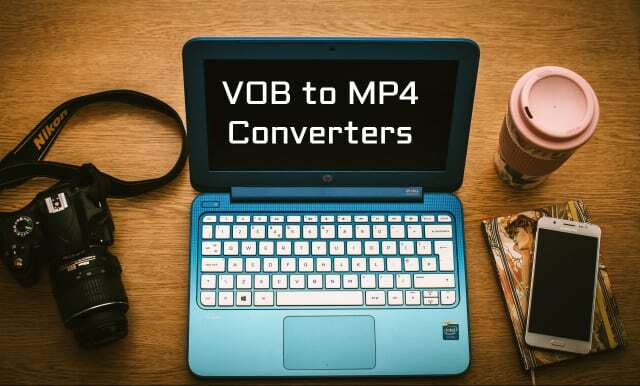 It's an online tool that lets you convert video formats for free – mainly VOB to MP4. It is free and does its job at a fast speed. It has an intuitive user interface and is completely clean so that it won’t hurt any of your personal files. The process is very simple. You select files you want to convert, then go to the Launcher and use all the features. Choose the output format and hit edit for all the additional settings you ought to change. Then you can convert and wait for the process to complete. It is one application that is so easy to use its almost a dream. It has an intuitive interface and offers a lot of professionalism. The program supports many formats, and you will receive your output with the highest quality. It has some very top class downloading and editing features that change the look of the outcome. You can rotate, merge, crop or trim your video, add subtitles as enhance the effects. Your converted files can playback anywhere. The conversion speed is very fast and does not cause any problems. It is another website that converts your VOB files to MP4online. It offers you the feature to cut videos but sometimes can take the time to process the output. The data is first submitted to the site and then proceeds with the conversion. To use this tool, you got to the website and selected your target format first. Then you browse to search for the file you want to convert. After you select your file, you click convert and wait for the file to be uploaded. Once that is done, the converted file will begin to download. It is a unique program compared to most others because you will be able to have speeds 30 times faster than normal and the software supports more than 250 different formats. It is an all in one solution, and the output quality is very high. The user-friendly interface makes work easier and you also have a range of editing tools for trimming, cropping, effects and even watermark. This software is not only professionally, but it is also unique and offers you the best experience while you convert your video from VOB to MP4. It works well with any format for that matter. Your output files will play easily on any portable device, and you can enjoy videos on the move. The editing functions that the program offers include output settings for saturation, contrast, merging and cropping. It makes video editing a fun activity. It supports as many formats as you may wish, but in some places the functionality is limited. This software is fast getting popular due to it Head to Head Comparison as it offers an almost unmatched speed compared to most other converters. You can convert from over 150 different formats including 4K/3D. It allows you to download videos from various websites online. You can edit, enhance and personalize your videos and record online streaming. Freemake has quickly risen to popularity as an efficient video converter. It supports about 500 different formats and allows you download from social media sites and most physical media. There are plenty of devices that are compatible with a quick transfer and excellent quality resolution. Plenty of features like cut, rotate, embed and auto convert with subtitles is available. The interface is super friendly and is very easy to use.